It’s Anything Can Happen Thursday! I have a treat for you. 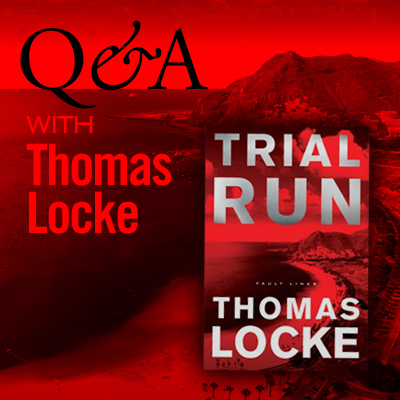 Today on Guts on the Page, we have a question and answer session with Thomas Locke, author of Trial Run! There are several links with additional content, so be sure and check it all out. Enjoy! 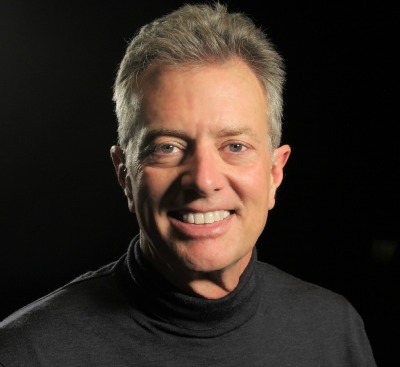 Thomas Locke is an award-winning novelist with total worldwide sales of seven million copies. Thomas divides his time between Florida and England, where he serves as Writer In Residence at Regent’s Park College at The University of Oxford. Visit Thomas at http://tlocke.com. Q: What reader did you have in mind when you were writing Trial Run? Thomas Locke: I suspect there are a lot of readers out there like me, who love mainstream fiction in principle, but are dismayed by how dark it is becoming. I love to read. I am happiest with a good book in my hands. And most of my purchases are mainstream fiction. Too often, however, I find myself skipping over bits that are just plain not necessary for a good story. I wrote Trial Run for readers like me. Passionate about story, yearning for the thrill of a great tale, hoping for something that uplifts as well as ignites. Q: In Trial Run, you introduce several seemingly unrelated threads at the beginning of the story. By the end of the story, those threads have become woven together in an intricate tapestry. What’s your thought process behind this writing strategy? By this, the producer means, what can you leave out of the script so that the audience must figure things out for themselves? Instead of spoon-feeding the audience every item required to move to the climax, things are left unsaid. This sense of vacuum draws the audience into the action, and hurries them forward to the story’s close. Q: Several settings in Trial Run (Santa Barbara, CA, the Italian/Swiss border site) depict real places. How do you select these real-life settings for your stories, and do you alter details of these places to suit your stories? Thomas Locke: The core element of my placing a story is research. And the core element in my research is emotion. For many people, the ‘take’ that I finally use in the story does not jibe with what they like to see as valid for a particular setting, especially when that place is close to their heart and I have used a more negative perspective. But the facts have been carefully studied. An example from Trial Run is Santa Barbara. For a lot of people who know and love California, this is their absolute favorite place in the SoCal region. And for good reason. It is a lovely town, one my wife and I really enjoy visiting. For this story, I was granted an insider’s view into the University of California at Santa Barbara, or UCSB. And from the perspective of many students enrolled there, UCSB is filled with hyper-inflated SoCal egos. The contrast I found between the students with money (and in SoCal, when I say they had money, I really mean they had money) and those who don’t is as sharp as anywhere I have ever been. The student who formed my core source and guide was on a scholarship. He was there to study. He was, to say the least, in a minority. Everything I described about the school, the bicycle traffic and the events on the beach and the housing, are based on observation. But the perspective was based upon the humorous bafflement with which this student viewed many of his fellow classmates. I personally love this aspect of building a story. The research at this emotional level grants me the opportunity to see the world through another person’s eyes and heart. Being trusted with this, time and again, is part of the miracle process that happens every time I start a new tale. Q: I’ve heard there’s a free ebook prequel to Trial Run. How can I get a copy? Thomas Locke: As I was writing the opening scenes of Trial Run, I found myself continually asking questions about what happened before that door opened and before the party started. I began sketching a sort of parallel story, laying out ideas that formed the story-before-the-story. “Double Edge” is the result. The publishers liked the short story prequel so much that they have asked me to write a complete novel based upon these concepts. This novel will form either book three or book four in the series. 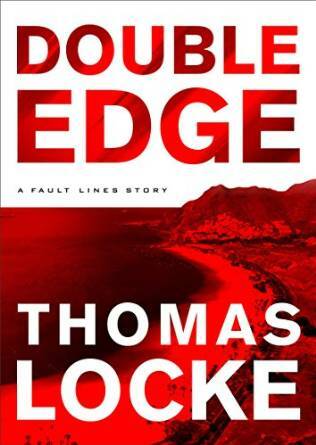 You’ll find links on my website http://tlocke.com/fault-lines/ for downloading your free copy of “Double Edge” from your favorite online bookseller. Q: Trial Run is book 1 in the three-volume Fault Lines series. Please give us a preview of what to expect in book 2. Thomas Locke: This is a timely question, as I completed the first draft of book 2 on June 8. The working title is Flash Point. In many respects, Flash Point is a true hybrid. By this I mean that the core themes are the same as in Trial Run. But everything is also very different. I had two key questions in mind when I started book two: How far can I take this? How much can I risk? Where does this take mankind? If this could actually happen, where do we go? How would this remake us? These questions are first asked in Flash Point. Where we go from here depends mostly upon you, the reader.